The colder months in Boulder County usually don’t stop most locals from going out to see live music. This place loves arts and music regardless of the elements—and we all know music and the mountains warm the body and soul. Here, in chronological order, are events on seven nights, winter through spring, when even a bear would wake up and get that booty shaking. Dec. 8 Elephant Revival with Gipsy Moon at the Boulder Theater. “Where words fail … music speaks.” These are the words that top Elephant Revival’s social-media page. The Nederland band puts on a performance that an audience will feel deeply, and carry within as inspiration and action. Their gypsy-Americana vibe, led by two beautiful, talented, strong females, Bonnie Paine and Bridget Law, captivate the attention of any music lover. Their socially conscious messages permeate the fire they light as examples of humans who practice what they preach. Don’t miss Gipsy Moon either. They are rising quickly and will be headlining their own shows this time next year. 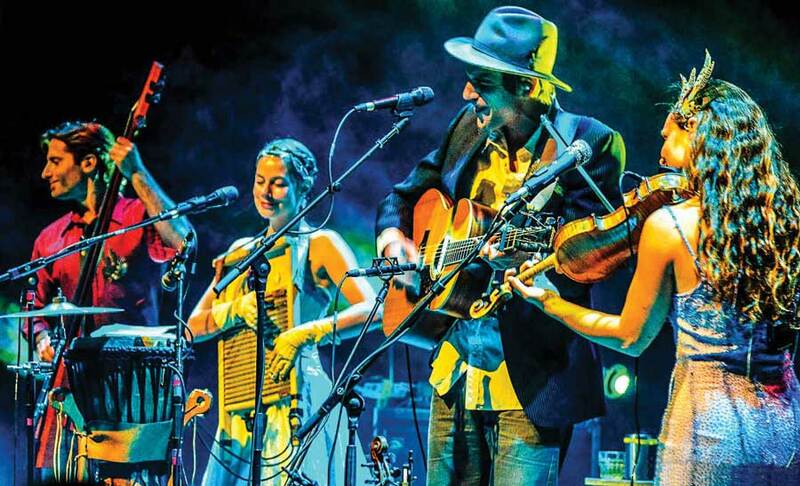 Dec. 9 Wildlight & Ayla Nereo at the Boulder Theater OR Travelin’ McCourys at the Caribou Room in Nederland. Although these two shows will be very different and appeal to different crowds, they are on the same night, and whichever one you go to, you can’t miss. Wildlight and Ayla Nereo are a married duo whose connection is felt throughout their music. This will be a downtempo dance party mixed by one of the best electronic composers, David Sugalski, aka The Polish Ambassador. The Travelin’ McCourys will provide a bluegrass style hoedown dance party that will get your boots knockin’. As sons of bluegrass legend Del McCoury, these guys know how to move a crowd. Dec. 31 Yonder Mountain String Band at the Boulder Theater and/or String Cheese Incident at the 1st Bank Center on their annual home New Year’s Eve Run. These two bands are national acts that love the area where they originally met and now reside. I decided to include both because one cannot go wrong attending either of these shows on New Year’s Eve. As a matter of fact, these are multi-night runs, so you can enjoy both bands. 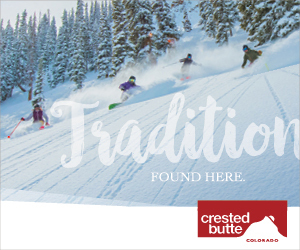 This is how I recommend ushering in the New Year on the Front Range. The power and diversity in musical talent that these two bands have curated over the years have put them at the top of their craft and genre. Like any healthy band, they have evolved and accelerated into musicians who defy time, and evolve in wisdom and creativity. Jan. 25 Kings of Leon with Deerhunter at the 1st Bank Center. It is billed as “the WALLS come down,” named after their new album entitled WALLS. This band has undergone the regular growing pains that most bands have, but the difference is they are literally family … and they are back on tour. Kings of Leon never disappoint live, and their songwriting and musicianship are soulful and impressive. This is a band that does not make a bad album. They have a distinctly unique flavor that resonates with most listeners. Feb. 11 John Brown’s Body at the Fox Theatre. If you are a fan of old-school deep dub-style reggae, this show is the one for you. Many reggae millennials may not have heard of this force in their genre, so here’s your chance to get a bang for your buck in Boulder. The band, named after an old marching song about the important abolitionist, is a powerful force in American reggae. This is roots music that will make you chuck the night away on the Hill. Feb. 27 John Schofield’s “Country For Old Men” at the Boulder Theater. John Schofield is one of the best guitar virtuosos of our time. Once again he will be playing to prove how he breaks down the walls of genre by converting country classics into his jazzy funk style. Together with jazz contemporaries Vincente Archer, Bill Stewart and Larry Goldings, Schofield will continue to master improvisation while tantalizing his crowd with songs from Hank Williams, Merle Haggard, George Jones, Bob Wills, Patti Page, Shania Twain and others. He never puts on a bad show, so no matter if you are a fan of country or jazz, he will not disappoint. April 5 Green Day with Against Me! at the 1st Bank Center. album, Revolution Radio, their first in seven years and with some very positive reviews, they are back on the road and coming to our neighborhood. If you’re at a concert of any kind there’s a pretty good chance that Philip Emma is there too. 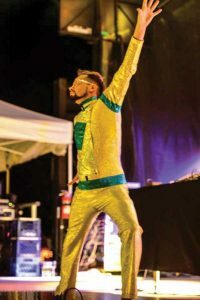 From his first show on the Victory Tour with Michael Jackson to just about every music festival of the last 20 years, his journey through listening to music has made him the on-the-street advocate for artists everywhere. He teaches middle school in Lafayette, works at the Oscar-winning recording studio Coupe Studios in Boulder, writes and photographs for the Grateful Web, and is the father of a budding piano player.